The Playsam Rocket can't only raise a small astronaut in children's rooms, but also in offices or living rooms the rocket will give wings to your fantasy as decoration object. Rocket has a friendly and clear design which "stimulates the childish senses and encourages children's fantasy" according to the Playsam founder Carl Zedig, as well as all the products by the Swedish manufacturer do. This is how every child will experience its own universe adventure. The rocket out of lacquered wood wont only delight children, but also grownup design enthusiasts, because of the typical minimalistic shape. The Playsam Rocket is suitable as both: gift for science fiction fans and friends of classic design as high quality living accessory. 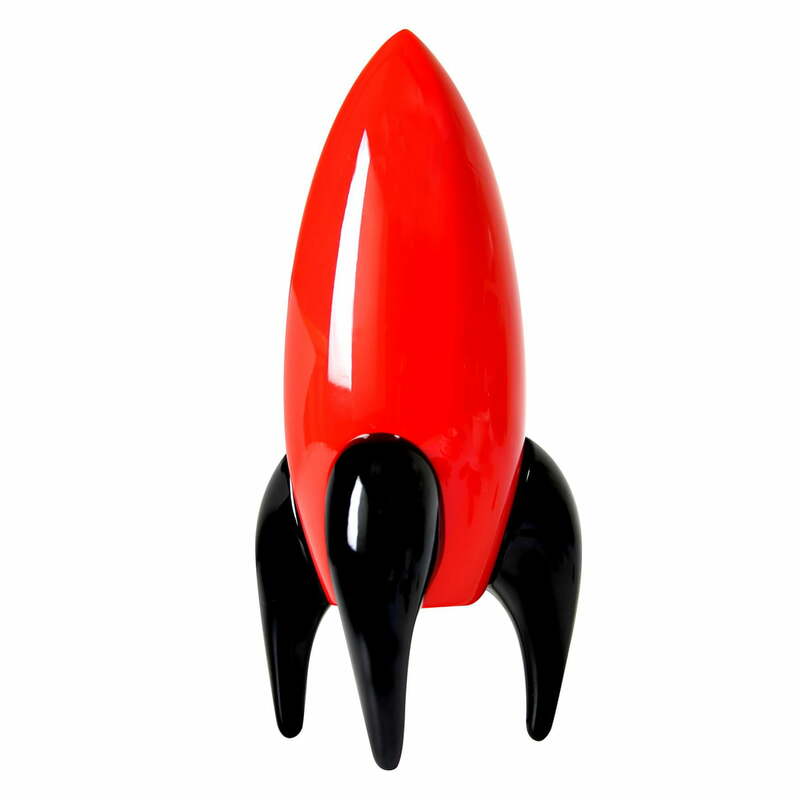 Isolated product image of the rocket by Playsam in red / black. Like all of the Swedish manufacturer's products, Rocket has a friendly and clear design.